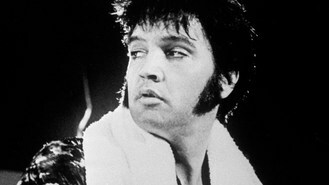 Elvis Presley has become the first act to score 50 top 10 UK albums. The Nation's Favourite Elvis Songs, an accompaniment to the ITV programme of the same name which aired on Friday, shot into the UK album charts at number seven. It is the king of rock 'n' roll's 50th album to break the UK top 10. The Nation's Favourite Elvis Songs features all 20 tracks included on the programme - which was watched by more than four million viewers - including the number one favourite Elvis track, as voted by the public, Always On My Mind. The album features some of the biggest hits and finest songs ever recorded and performed, spanning Elvis's entire career. They include Suspicious Minds, Love Me Tender, Blue Suede Shoes, The Wonder of You and Heartbreak Hotel. During his career, Elvis recorded more than 600 songs - although he did not write a single one of them. He has also sold more than a billion records. Pop music videos by the likes of Robin Thicke and Calvin Harris are the target of a new campaign against sexism and racism. Miley Cyrus made her memorable red carpet appearance at the 2013 MTV Europe Music Awards, flashing the flesh in a backless mini-dress. Pop newcomer Storm Queen has been enthroned at the chart summit after the American DJ's record Look Right Through deposed last week's number one, Eminem and Rihanna. Another Rolling Stones rumour has bitten the dust. Lady Gaga is lending some her artistic eye and star power to USA Today's pages in advance of the singer's new album, ARTPOP. British stars One Direction are to face off against the likes of Katy Perry and Justin Bieber as they battle it out for the top prizes at the MTV Europe Music Awards tonight. Scotland's biggest city is to host MTV's major international awards show the Europe Music Awards next year. A fire has burned the childhood home of rapper Eminem in Detroit. The Poppy Girls have confessed the nerves are starting to kick in as they prepare to perform for the Queen.